When it comes to hospital furniture and beds, one cannot take chances. Only the trusted furniture manufacturers should be contacted, who would be able to give you a wide range of good quality furniture that will last longer and will be comfortable, as well. We feel proud to say that we are one such manufacturer, whose products are being used in various hospitals. 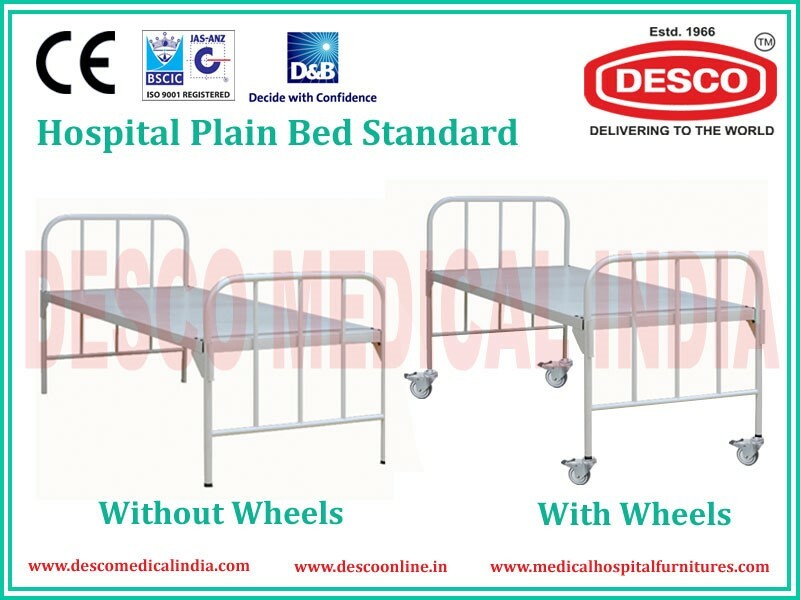 Hospital Ward bed: This bed is fixed and is made up of superior grade materials. They also come equipped with special safety provisions. Made with steel pipe frames, the top is perforated with CRCA sheet, and the tabular hand and foot bows are made of equal height, which has vertical tube supports. ICU Beds: The bed frame comes with a CRCA sheet on the top, and separate screws for the backrest so that the bed can be moved up or down. There are a knee rest and reverse position rest, which can be adjusted with attached folding handles. The bed is also equipped with IV rod locations, wheels and detachable panelled bows. Fowler Bed: This bed again has a four-section perforated CRCA sheet on the top. With knee rest and back rest that can be operated with the help of attached folding handles, the bows are also detachable. It can be easily moved around with the help of wheels and comes with I.V. rod locations. Electric Bed: The electric bed has a flexible backrest and Trendelenburg movement, and comes equipped with collapsible railings. There are buffers at the four corners and the movements are operated with the help of a wired remote. Along with wheels and stopper, the bed surface is ventilated, as well. Recovery Bed: The recovery bed is the bed where the patient lies down after the surgery so it is meant to provide complete comfort. With I.V. rod locations, movable wheels, detachable bows, backrest and knee rest adjustments, the bed will only help the patient in one way, in recovering. These are some of the medical beds that are manufactured by us. Visit our website for complete information on all our products. We strive to manufacture only the best products for the health sector. Give comfort to the patients by choosing only the best furniture for them.